This toy costs approximately £14.99 (for the latest and best prices make sure you check our retailer list for the OPERATION GAME above). 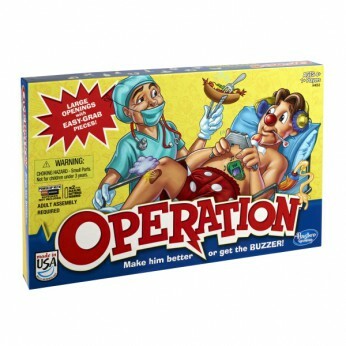 In our review of OPERATION GAME we classed it as being suitable for ages 5 years, 6 years, 7 years, 8 years but recommend you check the manufacturer specific advice before purchasing. This game is absolutely brilliant. For those of you who remember the old version, this is much better and easier for the whole family to play.